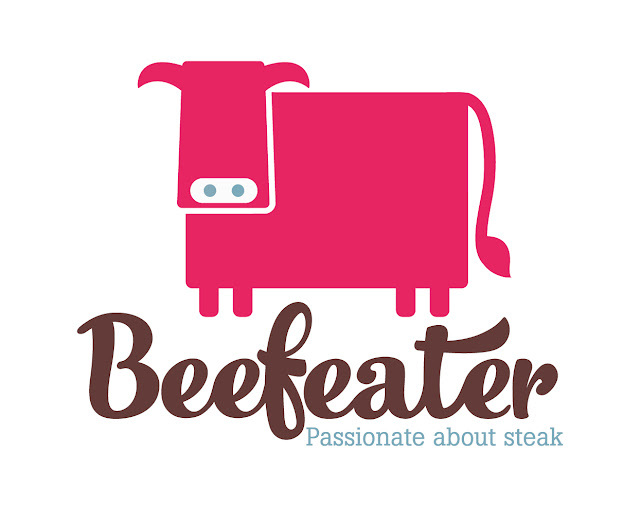 So the long running Beefeater chain has just had a long overdue branding overhaul with all restaurants being updated, refreshed and a new menu also launched. I was recently given the chance to review the new menu so took my willing family and popped over to the local Coach and Horses pub, Castleton Cardiff. The first good sign for me was the fair sized queue, luckily we had pre booked so didnt have to wait too long.The restaurant was packed and buzzing when we got in and we were whisked straight off to our table. Straight away we were greeted by our server and offered a flat bread to start if we wanted. 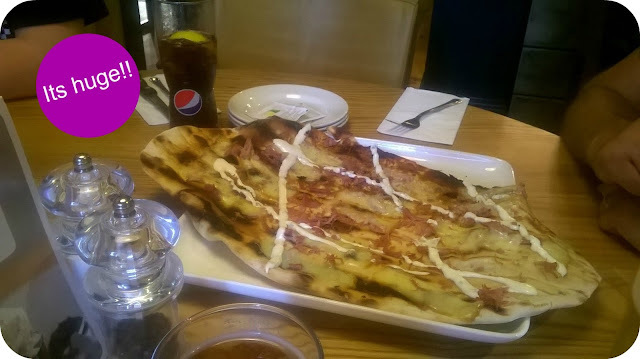 Now you'd assume with a flatbread we would be talking a small garlic bread sized creation, oh how wrong we were....when the thing arrived it literally took up half the table.....it was huge....perfect when you have 2 hungry boys....so it was a great start to the meal! So onto the new menu. Quite a varied selection of foods from grills to chicken, salads, fish, burgers etc and the option to chop and change your sides as you wish. (There is also a great kids menu). I decided on the Paprika chicken, other half went for mixed grill and kids went for Smothered chicken melt and a kids burger. The wait wasn't too long for the food and when it did come out it was hot, well presented and the portions were spot on. Eating out with kids can be a bit of a minefield so i always gage a good family restaurant on the kids reactions.....and mine were both very happy, no pushing food round their plate, no dissecting, no offloading onto my plate....they just got down to eating it.....so full marks there!! As for mine and my other half's meals......really nice, chicken was lovely, really tasty and not dry at all, mixed grill was well cooked and all sides were great.....triple cooked chips went down a treat. Wasn't overly keen on the coleslaw but apart from that everything else was great. We didnt go for desserts this time but the selection is very tempting with some really quirky options such as a zingy lemon pudding served in a jar with shortbread biscuits or a chocolate rum melt (I know, sounds amazing!! ).....i was very good this time round but i think it would be rude not to dabble on our next visit.